“Blind spot” accidents cause a large number of vehicular accidents involving new or teen drivers. Blind spot accidents are usually common among new drivers because they are still adjusting to this important task. And, since there are certain areas of a car that are not visible to the driver, it is easy for new drivers who are not familiar with blind spot areas to be involved in an accident. Here are five safety tips for new drivers to prevent them from getting involved in blind spot accidents. Proper adjustment of your mirrors is crucial for avoiding blind spot accidents. You want to be sure that the mirrors are in proper position before you head out. The side mirrors should be positioned in a way that they will give you a clear view of the cars next to you. The rearview mirrors should allow you to see clearly the rear of your car as much as possible. You also need to take note that the positioning of your mirrors can create a blind spot themselves and that your mirrors will not cover every angle. It’s important that you test out your mirrors first to see if their positions are correct. Avoid relying too much on your mirrors when you are looking out for other cars in the adjacent lanes or from behind you. Relying solely on mirrors is an accident waiting to happen. Even if your mirrors are positioned correctly, there’s still always a small blind spot that you have to watch out for. This is especially true if you are changing your lane. It is usually hard to see an approaching vehicle if you are proceeding in a different direction. You should turn your head to check if the blind spot is clear and not just look at the mirrors every time you change your direction or change your lane. New drivers don’t really do much when it comes to the interior of the car. They just sit in the driver’s seat and drive as much as they want. They don’t always know that proper seat adjustment is crucial to avoiding blind spot accidents. The driver’s seat should be positioned where your line of sight is above the steering wheel. You should be able to see the ground 12-15 feet in front of your car clearly. The driver’s seat should be positioned where you can comfortably see all the mirrors easily. The driver’s seat should not be positioned all the way back so that the B-pillar (the column that divides the front doors from the rear doors) is already obstructing your view when you turn your head. 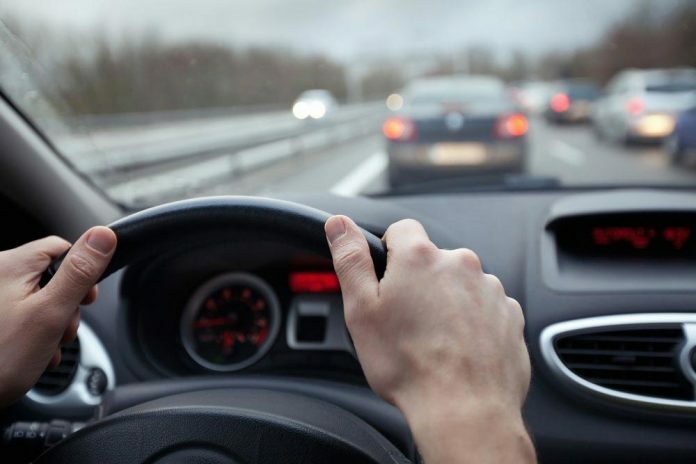 New drivers don’t always drive fast, but they still get involved in blind spot accidents because they don’t take into account the speed of the other vehicles on the road. Even if you drive slowly, your safety is not guaranteed, especially if you are driving on a freeway. You have to keep in mind that speed affects how things happen on the road. When you drive slowly, other faster cars will overtake you and move into your blind spot in just a couple of seconds. This can be a lot worse if you didn’t see the fast vehicle approaching or if you weren’t paying a lot of attention to your rearview mirror. You should always be alert and take into account the speed of the other vehicles on the road. Also, be on the lookout for vehicles that are going faster than the speed limit. This is where most new drivers tend to have a tough time adjusting: spatial awareness of the size of their vehicle and the space it takes up. New drivers should keep themselves in smaller vehicles. The bigger the vehicle you drive, the bigger blind spots you have to look out for. If you stick to a small vehicle, you don’t have to worry about taking up too much room when you change your lane or direction. As a new driver, you have to be slow when changing lanes or direction. If there’s an approaching vehicle, it’s better for you to give them the chance to avoid you or proceed ahead of you. This also gives other drivers the chance to blow their horns as a signal that another car is right behind you. Being a new driver is not an excuse if you do get involved in a car accident. So as a new driver you have to start learning how to avoid blind spot accidents immediately. Keep in mind that you are not the only one on the road, there’s always a car beside you or behind you. So it’s important that you take an extra look at those blind spots around your vehicle to see if it’s clear to change direction or lane. As always, you need to abide by the traffic laws and be alert and attentive so you can reduce the chances of you ending up in a blind spot accident. Lea Briggs is a young law writer who enjoys a challenge when writing. Lea aims to make sure her articles allow readers to have a basic grasp of the concepts she is writing, especially giving emphasis to how these subjects can help them in their daily lives. She likes to spend time with her family at home during her days off.